Relaxation skills are easy once learned. Who's got time for relaxation? For most people, life is stress, and there is little time to stop and relax. Yet that can be a serious problem for your health, relationships and overall ability to enjoy life. As soon as you realize that you are not coping well with stress, it’s time to do something about it. Being proactive about relaxation will save your relationship lots of problems by making you a calmer and more relaxed, less reactive partner. Just a few minutes a day can help you to decrease stress and restore well being, and make you a more enjoyable person to be around. I don’t know how anyone can effectively cope with the demands of day‑to‑day life without having a number of stress‑busting relaxation skills to draw upon. So, without further ado, here are a few of the world’s best ways of defeating stress and creating more joy in your life by employing the secrets of effective relaxation skills. You don't have to be on the beach to breathe like a yogi. The minute you focus your mind on your breathing you are taking the first step toward feeling better and relaxing more. Simply close your office door for a few minutes, close your eyes and begin to observe the pattern of your breath. Follow the breath as it comes in and goes out. Simply stay with it. Very soon you’ll notice that your breath rate will slow down and you’ll feel a more restful condition taking place in your body. You can also count breaths. Exhale all the stale air from your lungs, and breathe in to a count of 4, then hold your breath for a count of seven, and exhale for a count of eight. Repeat the cycle about four or five times. You’ll notice that you are feeling relaxed and refreshed. Focus only upon the incoming and outgoing breaths, blocking out the world, and lose yourself in a warm bath of inner peace. Let the tingling sensations fill your body and sooth your ruffled mind. The river of your breath will take you to the land of dynamic relaxation, where you can restore your strength and renew your spirit. If you’ve been indoors for a while, go outside and get some fresh air. Take a few deep breaths, exhale slowly and inhale the fresh air. Go for a short walk and breathe deeply and concentrate only on your breathing and walking. Breathing deeply and focusing on your breath, while listening to a speaker in a meeting, is a simple but powerful way to practice dynamic relaxation that will improve your health and well being. Using breathing skills will help you to de-stress and overcome frustration. Breathing related relaxation skills are easy to use and bring quick results. You can even use them during a stressful team meeting without letting anyone know what you are doing. You can count your breaths, focus on your inhalations and exhalations, breathe deeply with your diaphragm, and do it all secretly...and still pay attention. Whenever I can excuse myself from the meeting room long enough to visit the restroom, I’ll take a brief walk or do a few knee bends to get my circulation going and improve my mental focus. You can slip outside, stretch your limbs and exercise your stiff neck, do some deep breathing and soon you’ll havea clear head and a well rested mind. It only takes a few minutes. This type of relaxation involves releasing tension in your muscles and getting your muscles to relax. You can begin at your feet. Simply tense the muscles in your feet by gradually flexing them. Hold at maximum flex for a few seconds, and slowly relax your feet. Then go to your legs and do the same thing, gradually tensing and relaxing the muscle groups. Move up your body until you finish with your face. You will feel great when you’re finished 15 or 20 minutes later. Research has found that those who meditate regularly enjoy multiple benefits, such as an improved outlook on life, an increased awareness of the beauty that is all around them, lowered blood pressure, decreased heart rate, and the like. You can take lessons at a nearby yoga center or find a good teacher or therapist who specializes in meditation and relaxation, join a meditation group or listen to audio self‑help tapes on the subject. Guided imagery can be a wonderful way to relax and boost your psychological health. I like to sit in an easy chair in a quiet room, play softly, soothing music in the background, close my eyes and begin focusing on my breath. Soon I am feeling nice and relaxed. After I start feeling good, I begin to imagine myself being in a very relaxing and enjoyable place. Perhaps a favorite place. Then, I go through a nature walk in my mind, or visualize a lovely beach scene, and go there mentally. It's like combining guided imagery with the benefits of self hypnosis. A mentally relaxing journey, it also relaxes the body. If you would like help with relaxation, be sure to check out our special, original audio program designed to help you LOWER STRESS and CALM YOUR HEART . . . written and performed by our Master Therapist and Hypnotherapist, Richard Hamon. 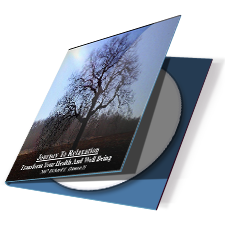 Take a quick look and see how Journey to Relaxation can help you to manage dangerous stress more effectively. Learn more about Journey to Relaxation here. Clear Your Head, De-Stress and Lower Your Heart Rate . . .
Medical science tells us that the practice of regular relaxation skills will strengthen your immune system and help you to resist angry or aggressive impulses . . .
. . . while improving your relationships . . .
. . . enhancing your career . . . STRESS is now considered more of a risk factor for heart disease than high cholesterol, according to many Cardiologists. Check into our relaxation Audio, Journey to Relaxation, and find out how you can reduce your stress level significantly, while improving your mental outlook and increasing your energy level . . . Click here. Go to more of our articles on Relaxation and Relationship Skills and discover how to De-stress, Relax and Free yourself from the tyrannical legions of Tension and Distress . . .